The multi-talented Richard Norris serves a humid psyche-disco burner backed with Mojo Filter and Psychemagik remixes. 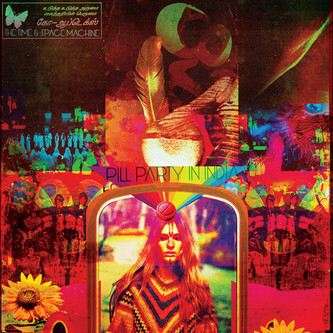 His original 'Pill Party In India' dances to a lean punk-funky backbeat while swirling desert guitars twang like sitars and voices emerge from the aerobic-mystical ether. Mojo Filter's remix sounds like some naughty early '90s experiment in acid fusion while Psychemagik give it a sort of Big Beat-y forest rave overhaul.